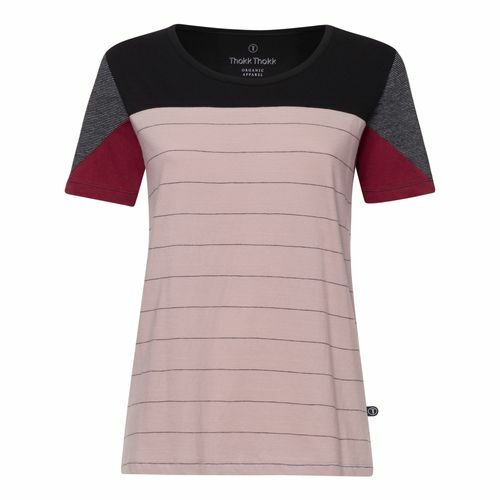 This T-Shirt scores with colorful accents in soft red and blue as well as a beautifully striped woven tape. Our cool small woven ThokkThokk logo adds the final touch to this beautiful T-shirt. 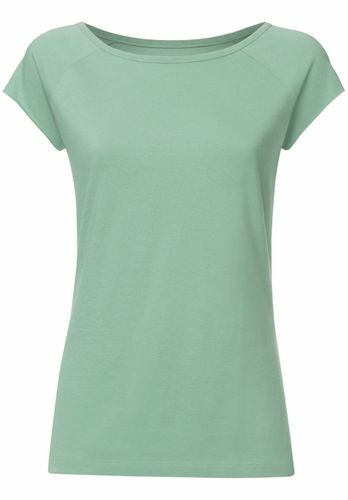 Fairtrade TT64 T-shirt made of GOTS organic cotton! Our cool TT64 T-Shirt for the ladies! 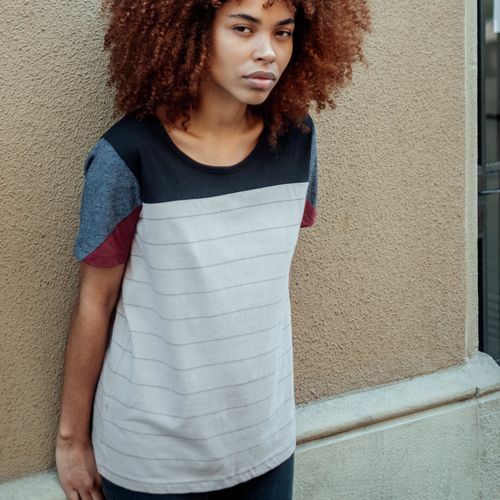 Clear design, light and soft fabric, a beautiful round neck, straight, slightly longer sleeves and a comfortable fit. And all of it of course made of 100% GOTS and Fairtrade organic cotton: for your everyday outfit, the relaxed mood in jogging pants, stylish tucked into your highwaist jeans or elegantly combined with a skirt - relaxed elegancy! High quality organic fabric for a comfortable and longlasting fit dyed according to the OEKO-TEX® Standard 100 without any harmful chemicals. The manufacturing company is SA8000-certified. By purchasing this T-Shirt you are also supporting our project against child labour. All measurements are taken from a flat lying T-Shirt.